Shay Frisch Peri is an Israeli artist and industrial designer living and working in Rome. Creating an almost weave-like look with the repetition of electrical adaptors and light indicators, Frisch Peri’s light sculptures are like energy fields. 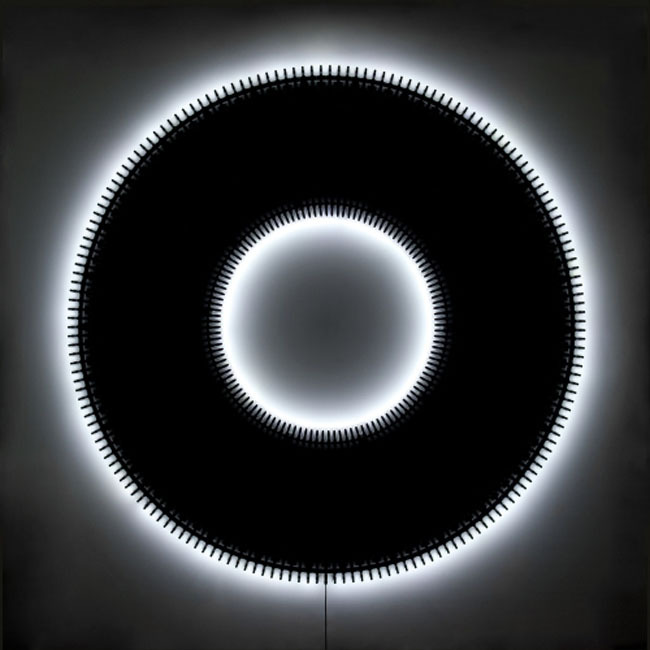 The one that Daniela and I saw this past weekend in Chelsea (Campo 4012 N – the circular one with ‘N’ signifying the color black) had a wonderful glow to it as we walked into the gallery. Frisch Peri takes into consideration each individual space and the appropriate proportion of light required. 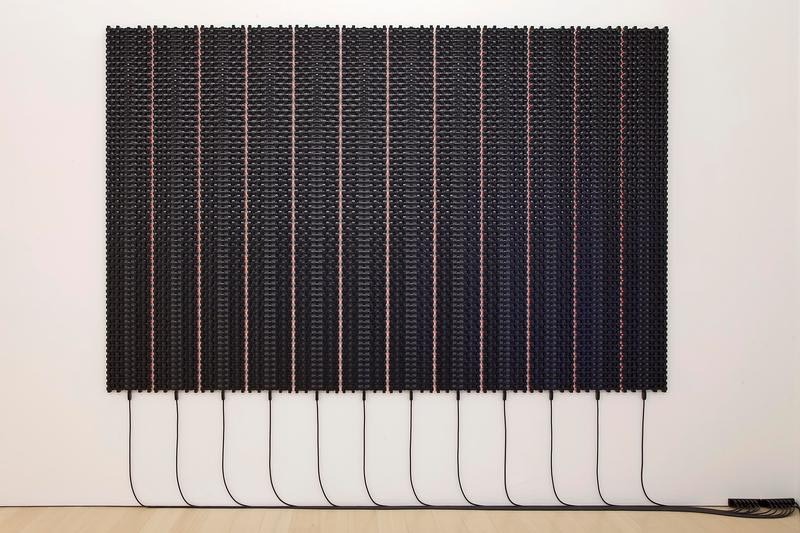 This piece, as well as Campo 1 N (the individual component used to create the larger work) will be at Haunch of Venison in Chelsea through March 3, 2012. You can see more of Shay Frisch Peri’s work here and here. This entry was posted in Architecture, Art, Industrial Design, Just Plain Cool, Light. Bookmark the permalink.